Pixelache | Open Source Hardware is Commodity – User Innovation Rules! News : Open Source Hardware is Commodity – User Innovation Rules! While big companies like Nokia are obviously struggling with their R&D and product strategies, the field of user / hacker driven innovation is quite recently gaining massive momentum. As a current UK study underlines, in aggregate, consumers’ annual product development expenditures are 2.3 times larger than the annual consumer product R&D expenditures of all firms in the UK combined. The traditional DIY movement may be associated more with housewares, but todays hobby engineers are designing rocket science – as literally can be found at the c-base open moon project . 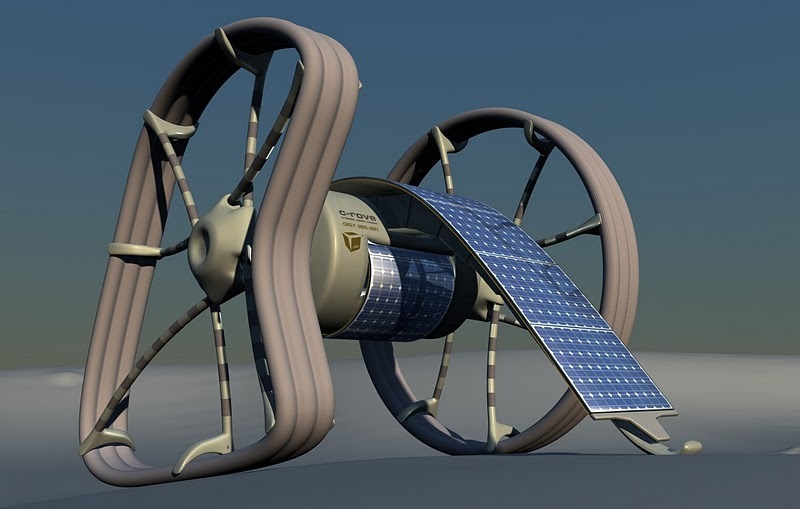 The “commoonity” is keen to launch a moon lander – the c-rove – as part of Google's lunar-X-prize project . The global competition, the largest in history, was announced in September 2007, with a winner projected by 2015. No wonder the digital ®evolution isdefinitely key to this latest development. Here is a good example: Very few years ago chip design was a million dollar consuming business with hangar filling production and testing equipment. But todays hackers only need to spend a few hundred euros to simply write their home-brew chip designs in cheap software programmable FPGAs. And as with other software, the code can be licensed with copy-left licenses and simply be shared over the Internet. 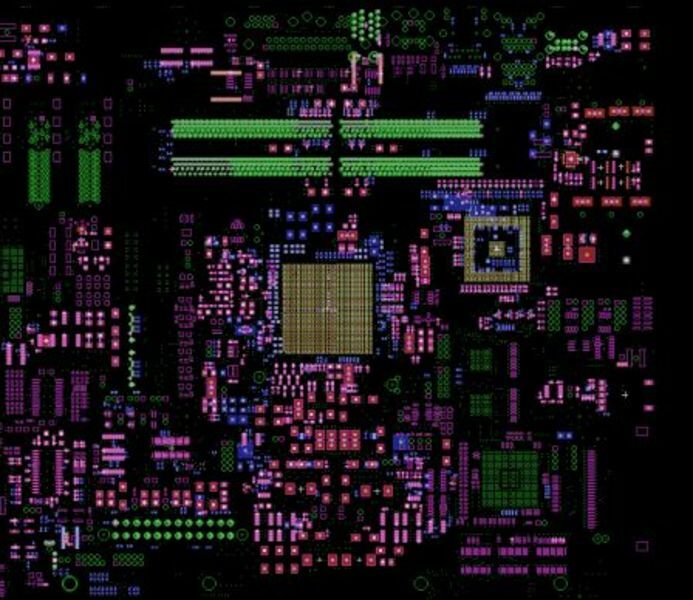 You can find hundreds of open chip designs at OpenCores.org, whose main objective is to design and publish core designs under a license for hardware modeled on the Lesser General Public License (LGPL) for software. As stated on their website, they are committed to the ideal of freely available, freely usable and re-usable open source hardware. But unfortunately copyleft licenses like the GPL or CC licenses can not be shifted to the physical world as such. As copyleft is legally based on copyrights, it cannot be applied to the materialized world of products in the end. Just recently a larger group of people including Ayah Bdeir from MIT Media Lab, David Mellis - Lead Programmer Arduino, Benjamin (Mako) Hill - Board member of FSF, Dale Dougherty - founder of MAKE Magazine, John Wibanks - VP Science at Creative Commons and many others, came up with a version 1.0 of their Open Source Hardware Definition. While the definition still not solves the copyleft principals of descent preserving the license itself, which would be so important, it is a very impressive step to clarify the term itself. Still another crucial aspect in the wider field of licensing hardware may be, that many of it's underlaying principles and designs are held in the public domain if not in questionable patents. 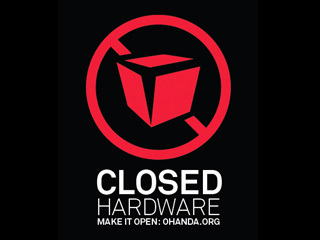 “IF YOU DESIGN IT 4 FREEDOM, THEN LABEL IT WITH THE 4 FREEDOMS!” claims the Open Source Hardware and Design Alliance - OHANDA. The international group that initially formed at the GOSH! 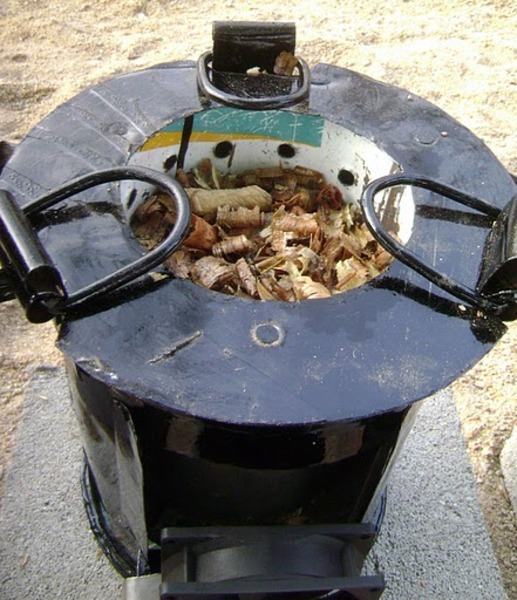 - Grounding Open Source Hardware Summit at the Canadian Banff Centre in July 2009, wants to establish a standard with a label for all kinds of open source hardware. Referring to the 4 freedoms of the FSF Free Software Definition, by applying the label to the product, the producer grants the 4 freedoms to the rest of the world, so that everyone shall legally improve, copy, manufacture, mass-produce and redistribute it. Since it's launch earlier this year, and interesting variety of things can already be found registered on the projects website. Just recently Twibright Labs - a group around Karel Kulhavy an three other computer science graduates of the Faculty of Math and Physics from Charles University in Prague - joined the alliance. And in Q2/2011 the Canadian Avencall Group want to market their first commercial open hardware VoIP appliance XIVO PBX registered with OHANDA. Meet Jürgen Neumann & Tuomo Tammenpää during Camp Pixelache on Saturday March 12 and discuss how user innovation can save Finland!